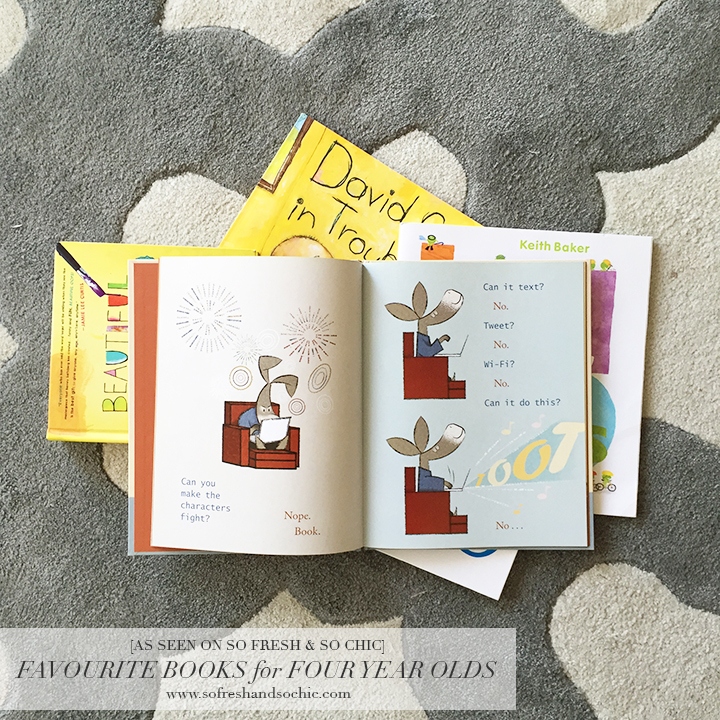 Today I wanted to review the Boy’s favourite books. These five books are currently in heavy rotation around here- they are often read after school but especially at bedtime. The Baby has gotten so used to seeing these out that she has started to show quite an interest in flipping through their pages too. 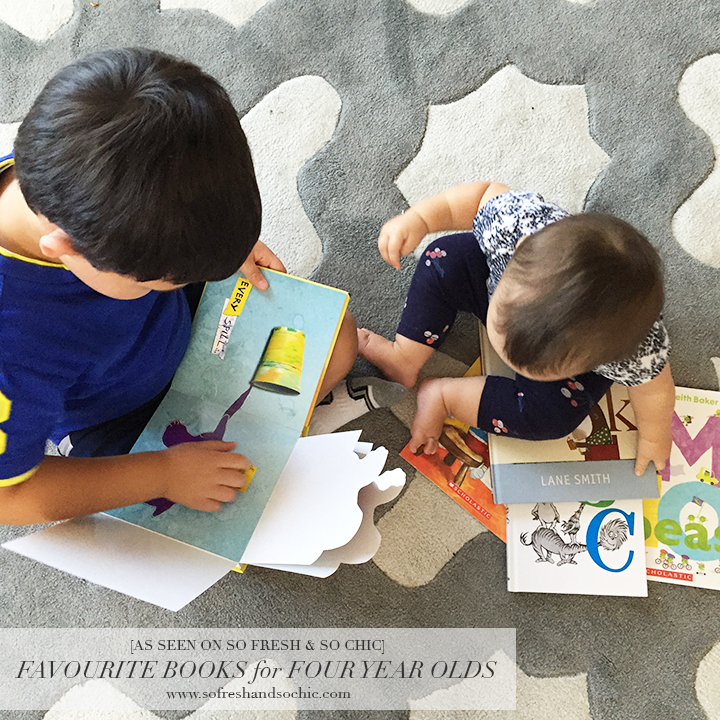 It is ridiculously cute, but also fantastic, because as is the fate of a second child, the poor thing only just got some books to call her own and I would really like her to be as fond of reading as her brother is. So, it’s a win-win, really. 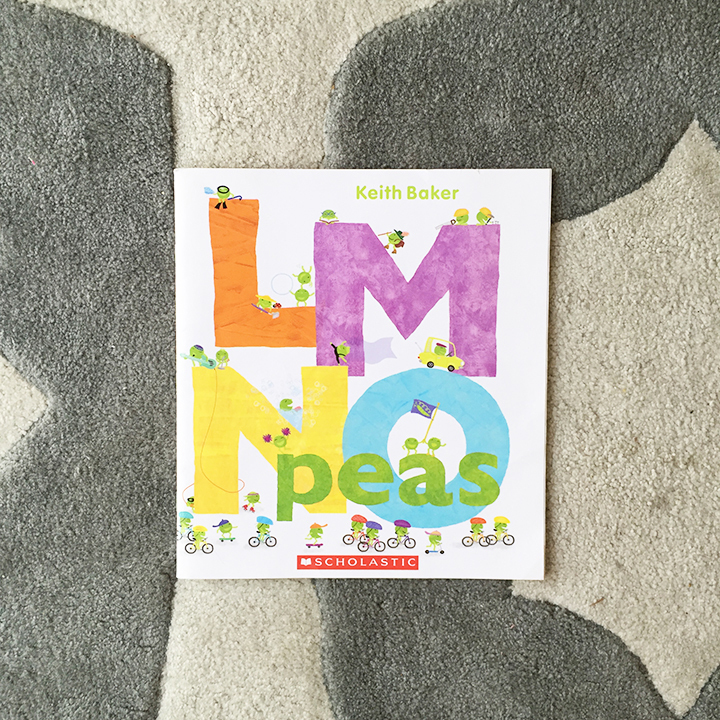 LMNOPeas is an adorable and funny alphabet book. 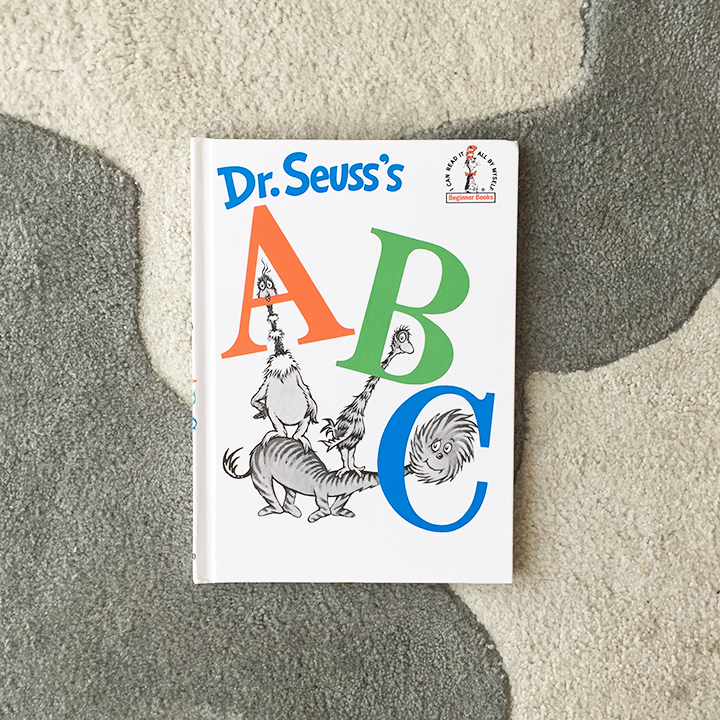 Although the Boy knows his alphabet inside out and backwards he still enjoys flipping through this one for the illustrations. As the title says, the star of the show are peas doing everything from juggling to painting to being circus clowns. The prose is simple and I’m really looking forward to hearing him read this one out loud to me one of these days! I have a confession to make: when the Boy expressed an interest, and then just sheer delight, in this book, I was super happy because I love David! I’ve had these books in his library since I was pregnant with him (free books = benefits of working at a children’s book publisher!). 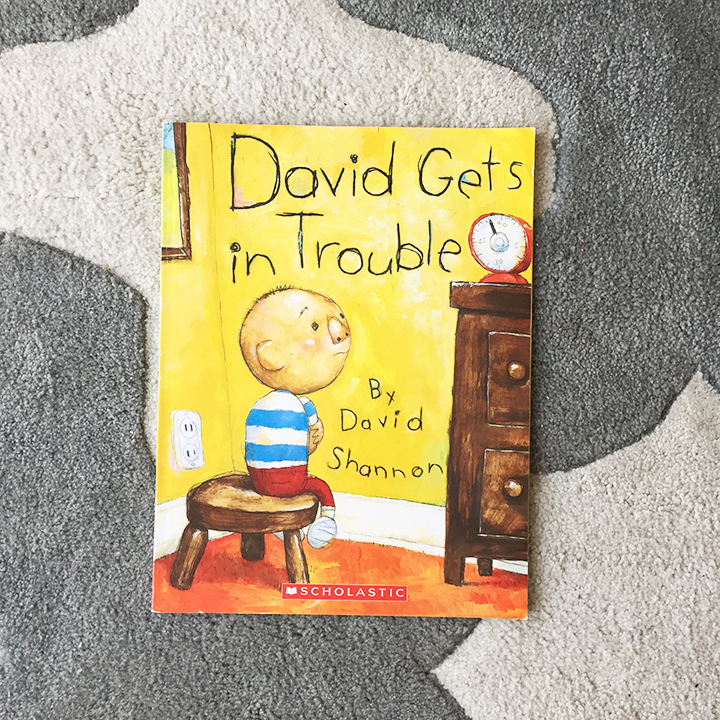 Loosely autobiographical, David really is every precocious, high energy four year old boy. The illustrations are exxaggerated and quirky. Honestly, the entire series is wonderful, and I highly recommend picking it up, but this one seems to strike a special chord for the Boy. Hrm, I wonder why? I’ll admit it- it took me a while to discover Dr. Seuss. I grew up overseas with the wonderful Enid Blyton and classics like Jane Eyre so it was only after I had children in North America that I discovered the brilliance of Dr. Seuss. Thanks to the generosity of friends, we received a few of his books (“Oh, the Places You’ll Go!” is beautiful too) and so here we are now- full on fans of these funny, nonsensical books of poetry. They are so much fun to read aloud. The Boy and I spend a lot of time giggling when we read this one. This book is genius. It really is. 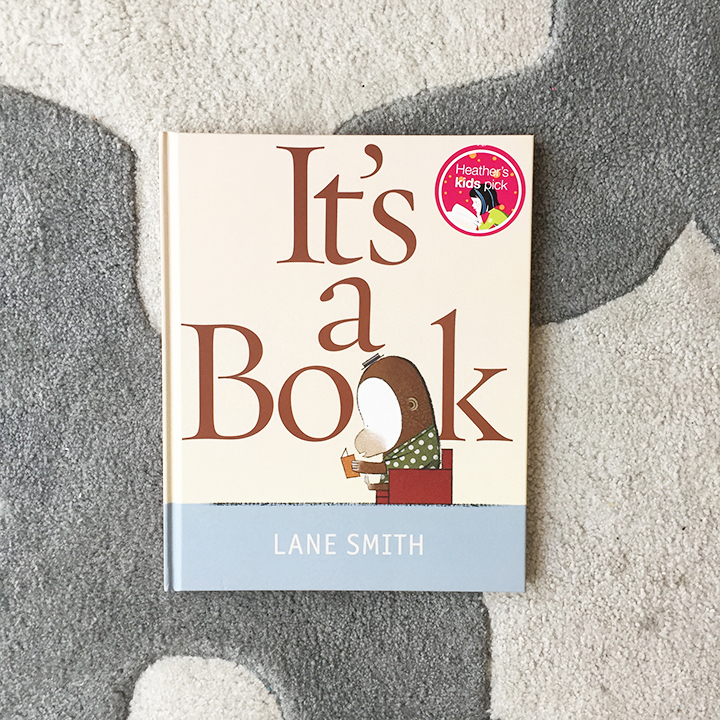 It takes the simple concept of what a book is and puts it into the context of children today. The iGeneration, if you will. 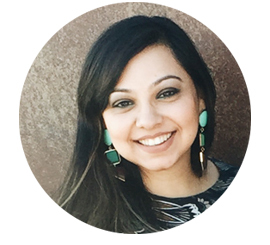 The swipers, the downloaders, the app store enthusiasts. 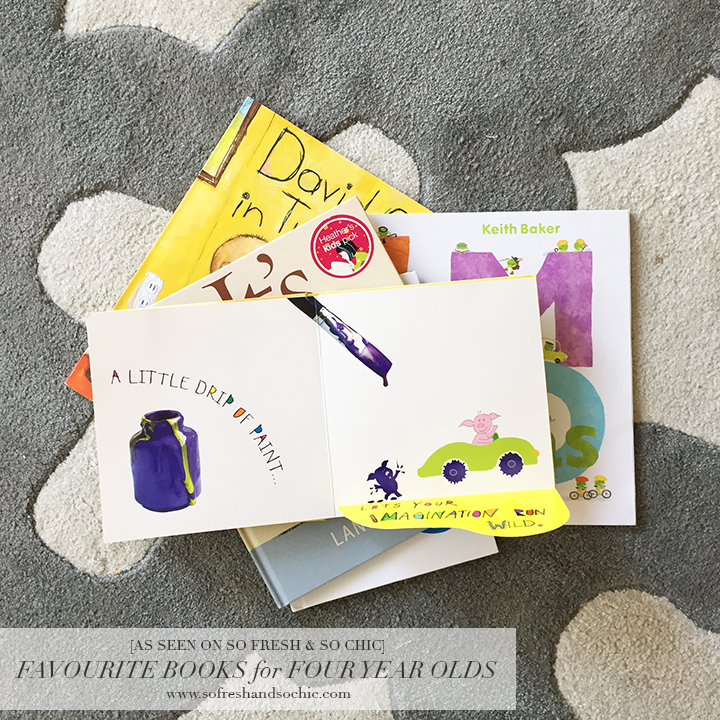 At the same time, I do think it provides a valuable check in for adults too- make sure your kids know the pleasures of turning the pages of a crisp new book or the soft, much handled pages of an old favourite. I highly recommend having this one in your library. 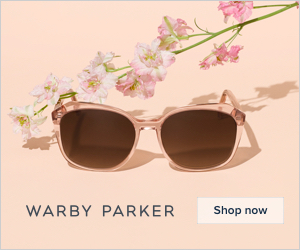 It’s one of the staples on my “birthday gift list” for friends and their children. 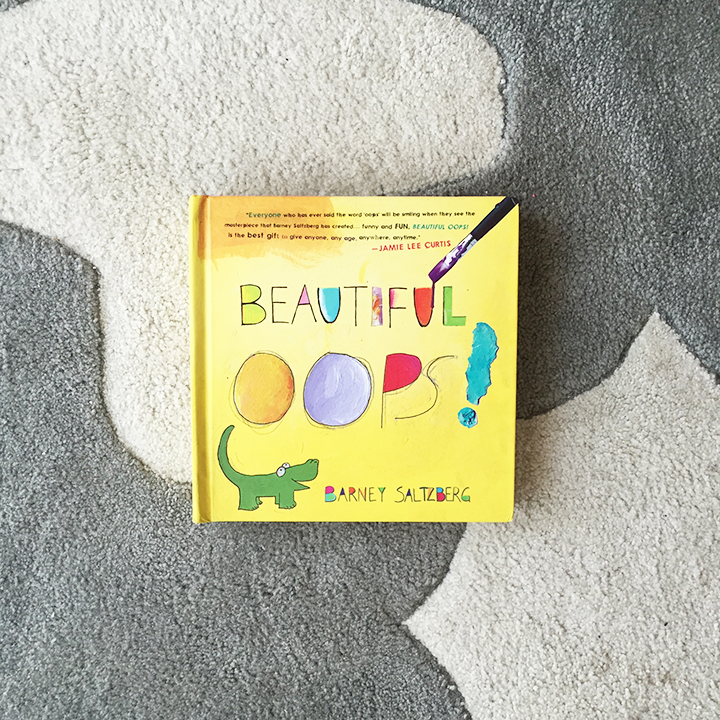 Last, but certainly not least, is this beautiful book about art and seeing all of the possibilities it presents to create something beautiful. Torn paper? No problem. Spilt ink? Bring on the imagination! No matter what oops! your child may encounter, there’s a way of turning it into something beautiful with a little creativity and a lot of imagination. The hardcover book itself is set up with flaps and pop ups that demonstrate the concept perfectly. 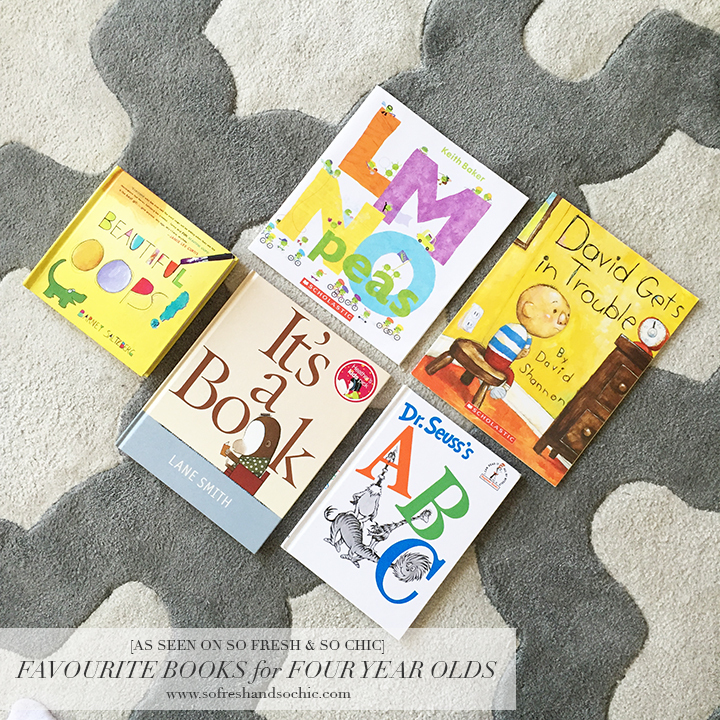 So there you have it- my top 5 recommended books for preschoolers based on what my four year old loves. 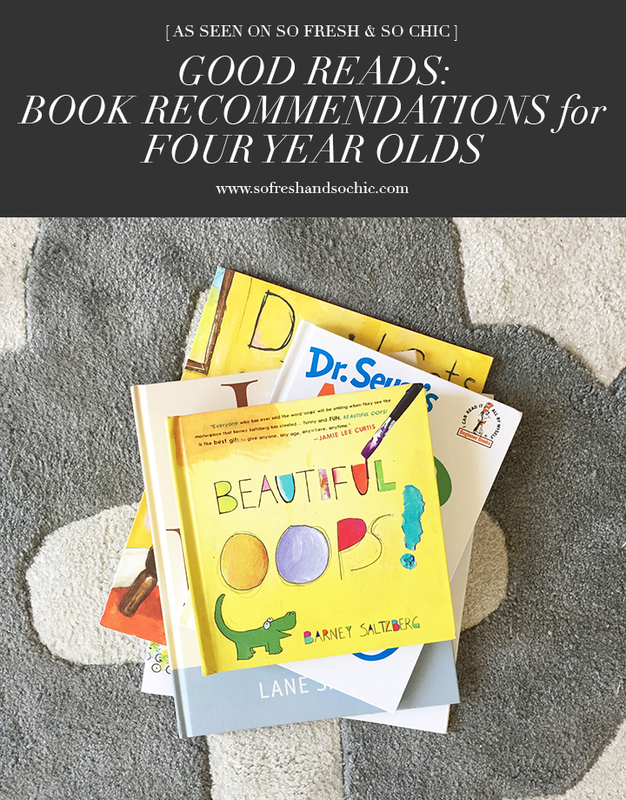 Don’t feel limited by my age recommendation, though, I do think there is enough here that younger or older kids would enjoy too particularly, It’s a Book and Beautiful Oops! 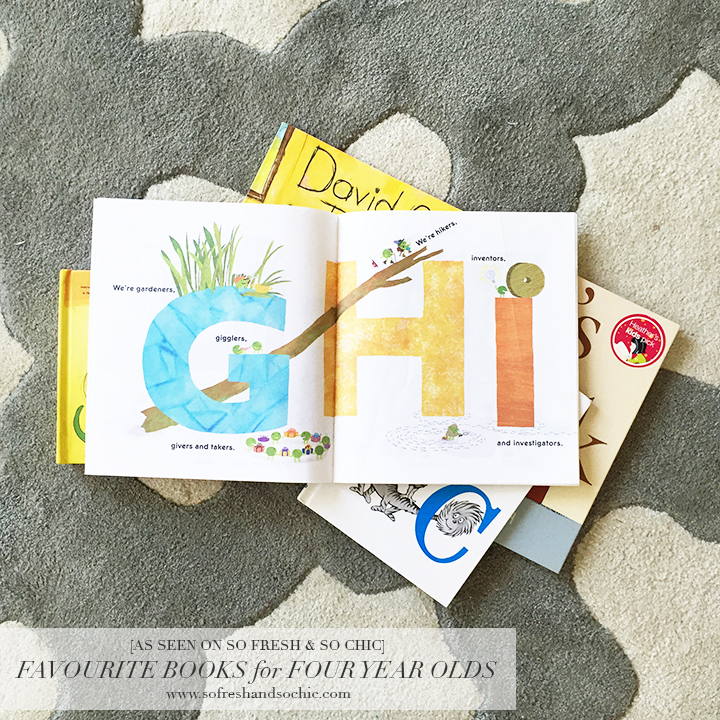 I’m always on the hunt for more and plenty when it comes to books for the kids. 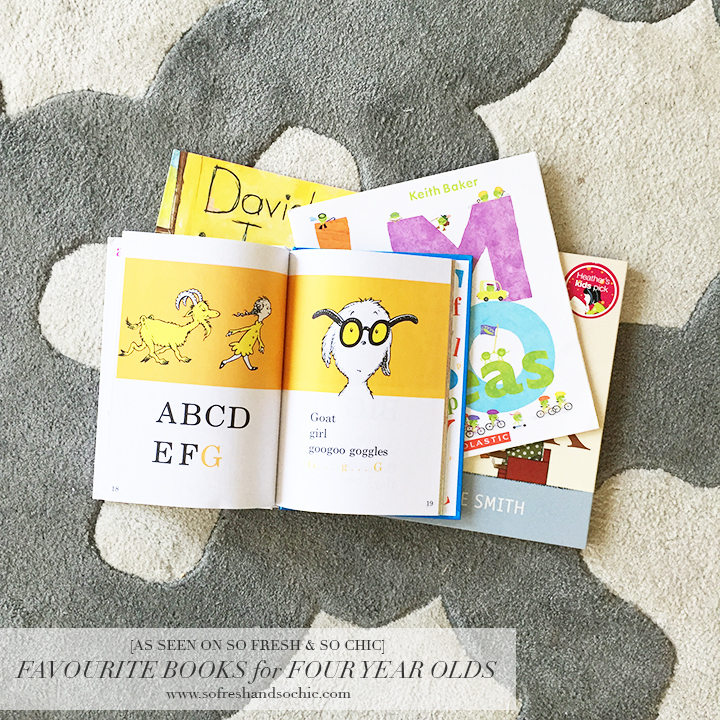 Please leave me a comment and let me know what your kids enjoy reading! 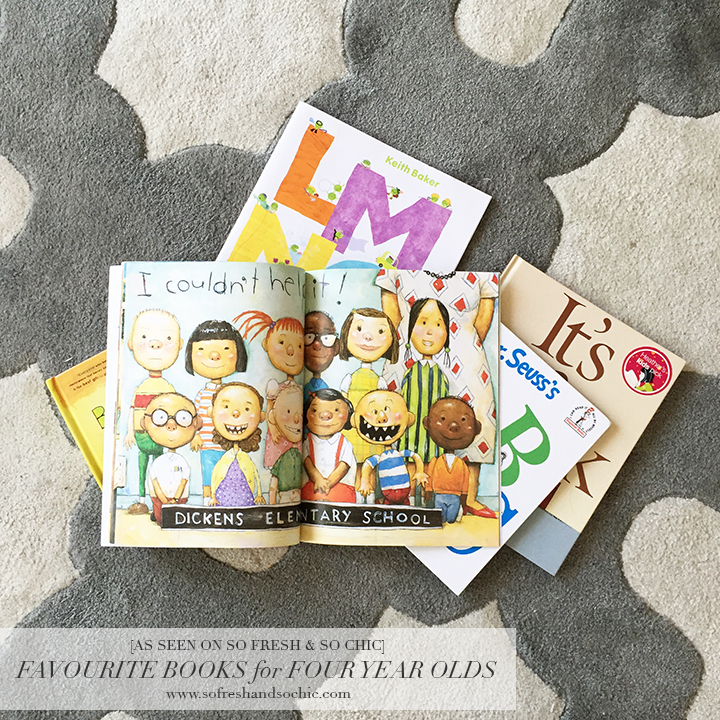 And if you don’t have kids, what kinds of books would you recommend I read?